The sheaths of the pars tuberalis proper consist of layers or lamellae of secretory cells or tuberalis cells, that are separated by fine reticular connective tissue. 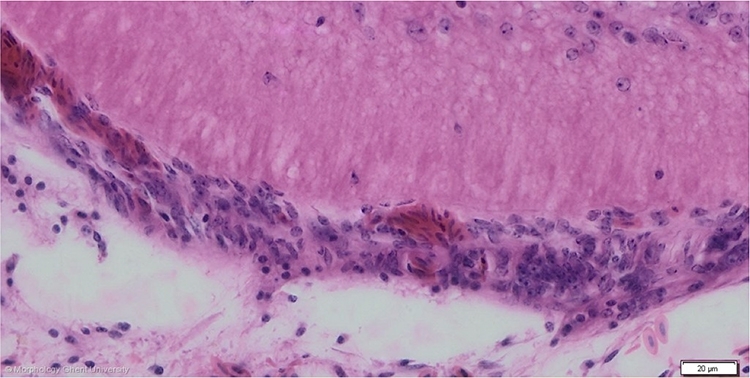 On the inner surface, the tuberalis cells are separated from the median eminence by a connective tissue layer with blood vessels that form a primary capillary plexus. Outside, the lamellae are covered by a connective tissue layer that also contain collagen fibers and is continuous with the pia mater.